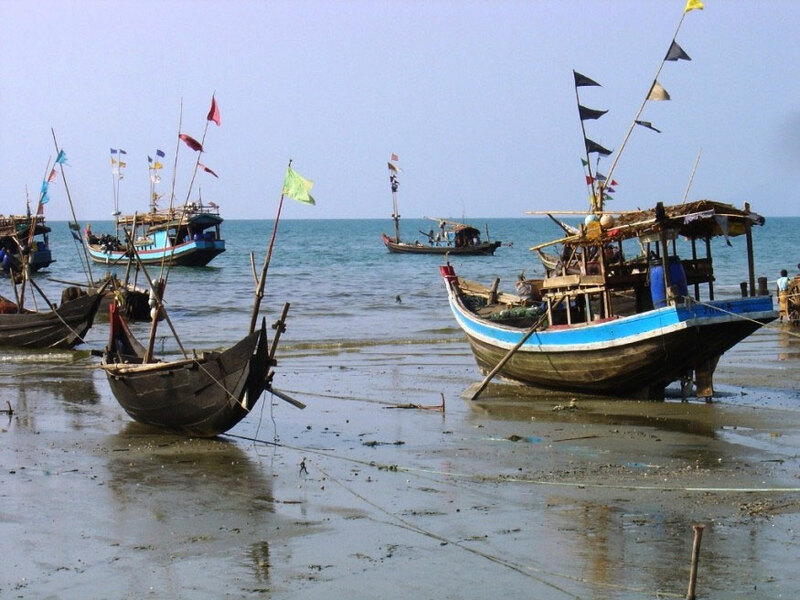 Fishermen who work in the Arakan State’s village of Kyaukpyu have complained recently that fish stocks are depleted since the launch of the Shwe Gas Project financed by Chinese investment. The fish habitat has reportedly been impacted because of damage to the sea bed. The fish depletion has been most noticeable between Kyaukpyu and Madae Island. Khin Maung Lin of the Ngalaypway village has been quoted in news reports as saying that his people have been earning a living from fishing for generations, but there are now significantly fewer fish since the gas project has been started. He said that the project damages the underwater environment and that, in turn, lowers fish stock in the fishing zone. The matter has been reported to the local Fishery Department, according to local fishermen, but dealing with the issue is apparently beyond the department’s scope since the gas project is a state-level undertaking. The decrease in the fish supply has already had an impact on fishery exports. Several cold storage facilities have closed because the decline in fish being caught means there’s no need for them.